Toss: WIPRO won the toss and elected to field. Top of the table coming into the last Sunday of the game took on bottom of the table. 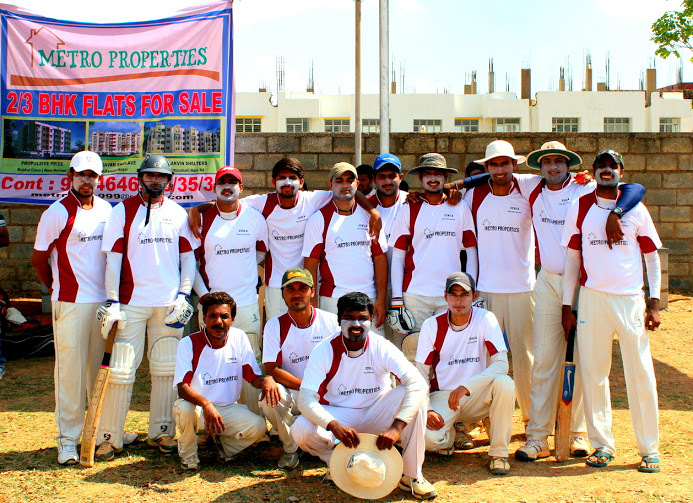 Wipro only needed to win the game to ensure that the title was theirs. ODW on the other hand needed a good game to end the campaign on a high. Wipro won the toss and chose to field. They were coming off a semi-finals loss in another tournament earlier in the day and seemed determined and very keen not to slip this one through their grasp. With the game reduced to 17-overs a side, they opened with twin leg-spin attack of Bharath and Karthik. Swayam’s forgettable tournament with the bat ended with a 5-ball duck. Arvind’s intent seemed aggressive against the spinners, but the runs came in a trifle. The spinners had spun a web around the ODW batsmen and all they seemed to manage to do was find fielders or thin air repeatedly. Arvind and Jyoti soon perished, but Melvin found an able ally in Srikant. They found momentum as wrist spinners gave way to finger spin of Sri Karthik and medium pace of Vikas Gowda and Aameer. A sluggish start was then overcome with a stroke-filled partnership that managed 55 runs in 33 balls to push the score beyond 100 that seemed unlikely only half an hour ago. 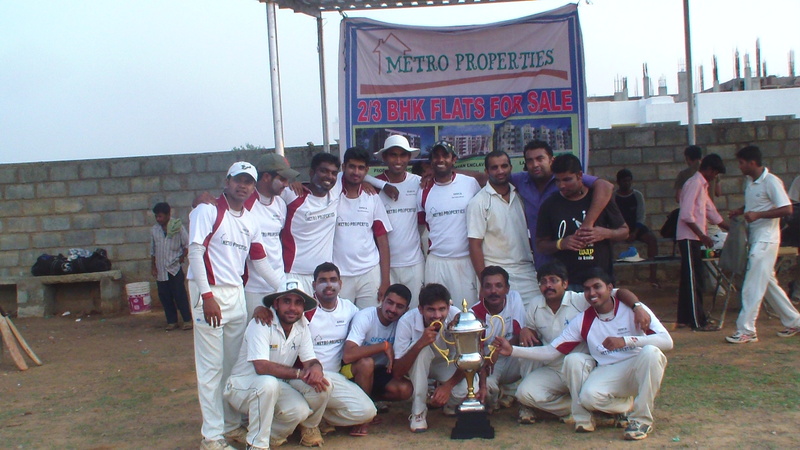 Wipro with the winners’ trophy. A target of 119 wasn’t much, but it was a tremendous comeback riding on the back of another 50 by Melvin. Wipro though, largely bowled and fielded well in restricting ODW to 118. ODW’s debutant left-arm seamer Tejomay raised hopes by trapping Karthik in front with a full swinging delivery in just the second over. 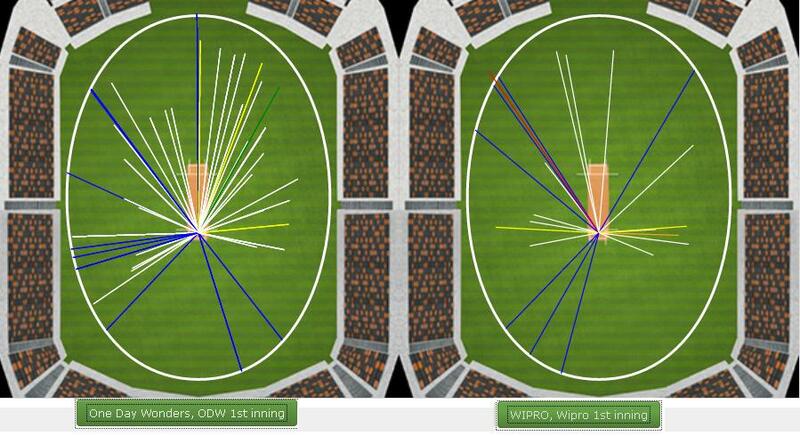 Mohit walked in at the fall of the first wicket and then set about flogging ODW’s bowling. An aggressive right-hander who likes to sit on his back-foot, Mohit produced a series of delightful strokes all around the wicket. He managed to quickly get on to the back-foot pulling any short deliveries and with tremendous power. Equally impressive was his balance in waiting for the balls drifting on to his legs that he glanced with great touch repeatedly to the fine-leg boundary. Ajay provided a steady hand at the other end ans Mohit went about dismantling the ODW attack. Everything that Swayam threw at Mohit didn’t seem remotely enough as he brought up his 50 in the blink of an eye. 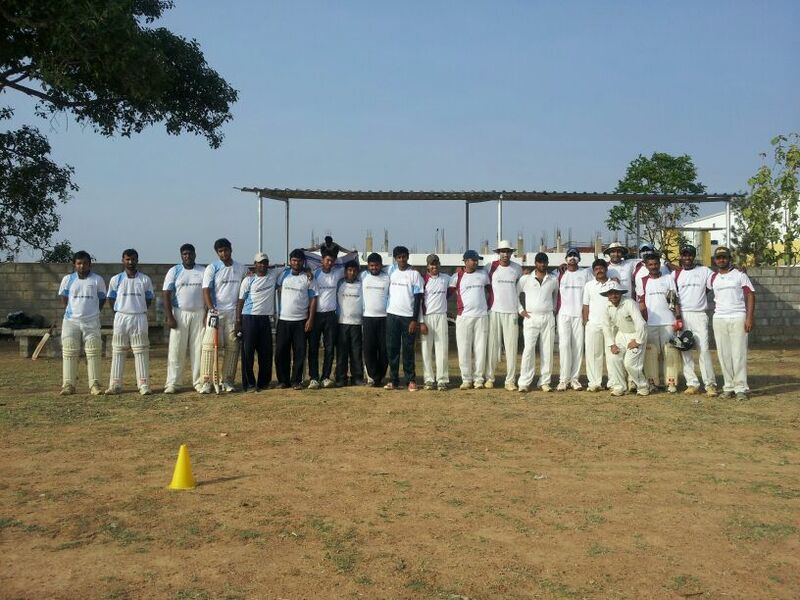 Victory was inevitable and quickly so as it came in just 9 overs to bring great joy to the Wipro camp. While it was dejection and ruing of many narrow misses for ODW throughout their campaign, Wipro on the other hand produced their game where most chipped in some game or the other. The full game along with graphs and wagon wheel details can be got here. 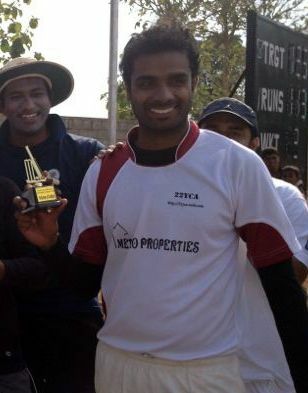 Performer of the Match: Mohit. 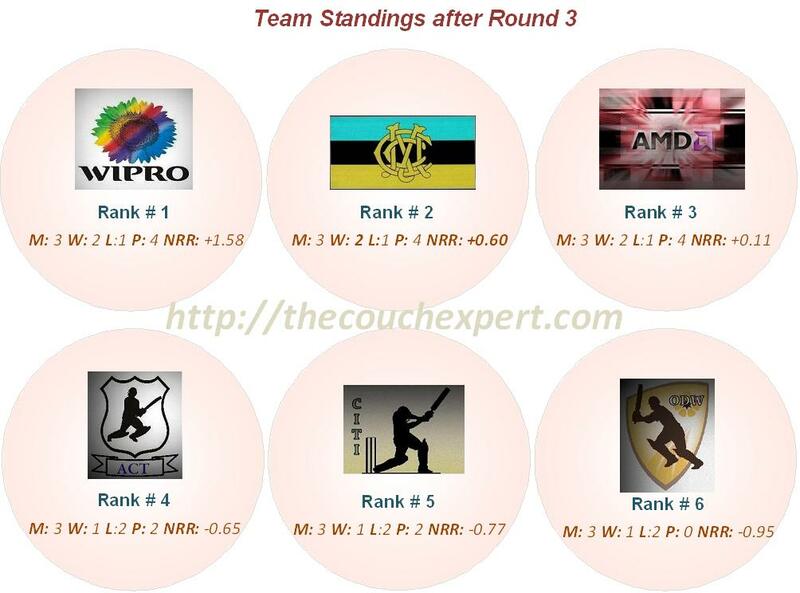 It was expected to the David versus Goliath show as table toppers Wipro took on table lagers CITI who had yet to register a victory in the competition. 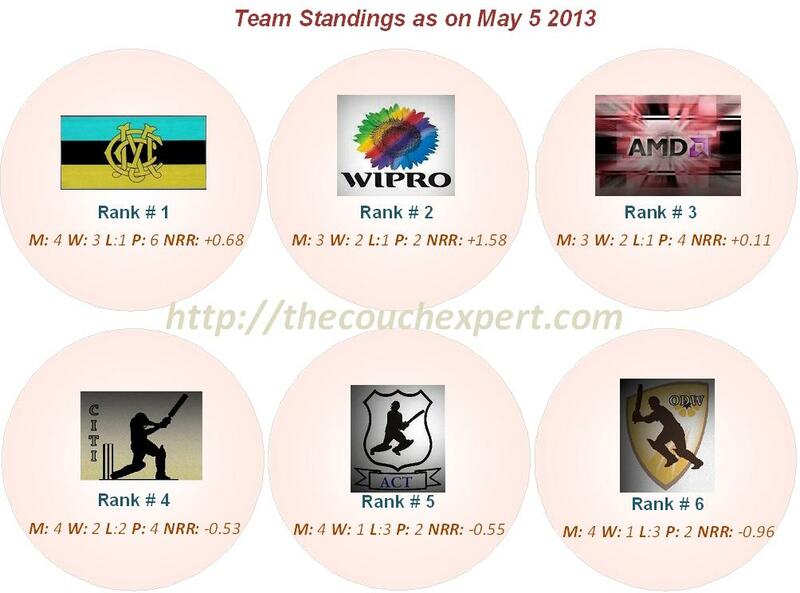 WIPRO put in a team without their captain and their team regulars Mohammed Aameer, Karthik BR and Mohit. “We are a young team and we also have an eye out for the future,” said the stand in captain Srikanth explaining the many changes in his team. Manish about to be stumped by Anand Pati. Patil accounted for 5 dismissals behind the stumps. CITI, though, looked sharp from the outset looking to make up for a close defeat versus AMD in the last game. The intent was obvious as Varun drove Pruthvi for a six over covers in the first over. Niket drilled a boundary as well as 16 runs came in the first over. Then a brain freeze as Varun was run out. The very impressive wicket-keeper of WIPRO, Anand Patil, standing was up to the new ball bowlers to prevent the batsmen from stepping out. It seemed to be one of the factors weighing in the minds of the batsmen that led to a misjudgement in the form of going for a non-existent single. 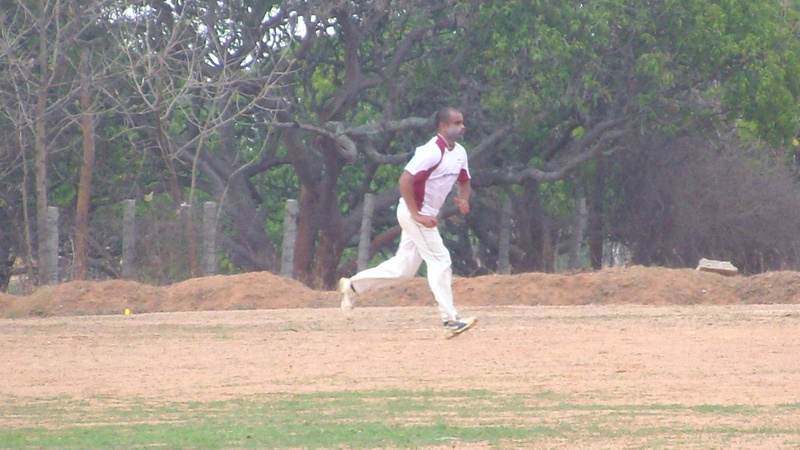 CITI’s captain Kranthi pushed him up the order for second game running to steady the ship and calm the nerves. 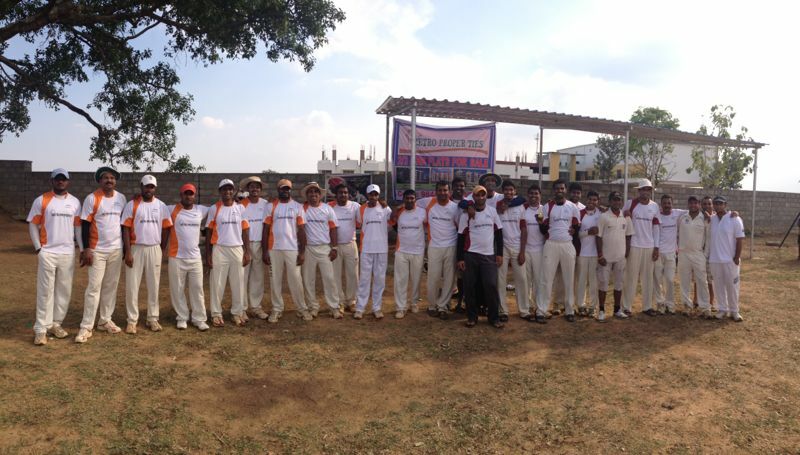 Kranthi looked solid even as Pruthvi and Sri Harsha recovered from their poor first overs to bowl frugal second overs. 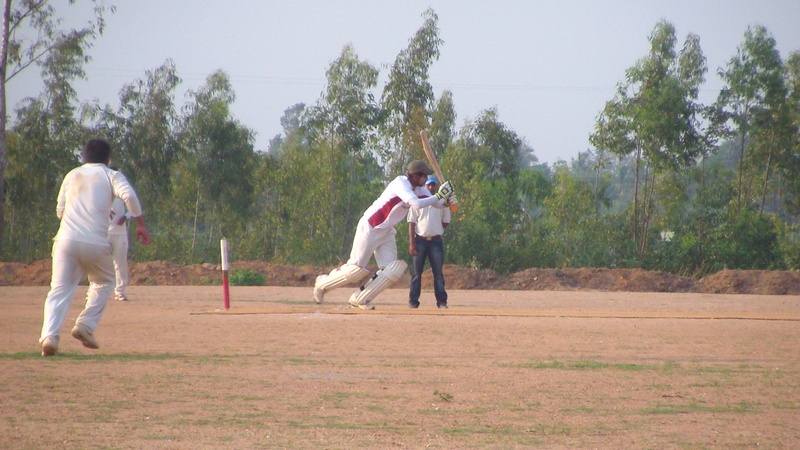 Niket looked to break free and tried to hit out against Sri Harsha. The result being a boundary before he nicked Sri Harsha behind the stumps the very next ball. 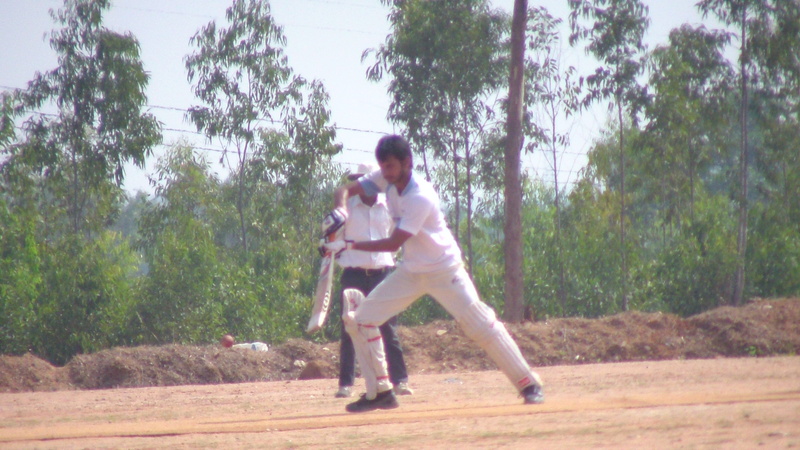 Kranthi kept up the run-rate with crisp drives and deft back-cuts even as wickets fell around him. Naveen and Vinayak came and went. When Srikanth joined Kranthi, the run-rate was over 7. The pair looked to accelerate with Srikanth looking to go after the bowling while Kranthi looked to play the sheet anchor. Then began the Anand Patil show with reflexes rivaling the swiftest going around. He stumped Kranthi off Bharath. He had pouched the ball and whipped off the bails before Kranthi could even turn around after missing a leg-break. The battle between the batsmen and Anand Patil was the highlight of the morning with the sinewy Patil pouncing on every opportunity. A half-raised foot was death for the batsmen. Over balancing was hara kiri. The cat and mouse game between him and the batsmen pulled Wipro back in to the game as he accounted for three others with his lightning fast reflexes. Srikath’s big hitting tool CITI to 150. But Srikanth kept fort for CITI with tremendous power hitting. His six straight travelled 75 meters hardly rising 30-feet above the ground. Such was his power as he overwhelmed Wipro’s bowling in the end overs and took his team to a par total of 150 with his 56. The benching of regular openers meant Wipro opened with a new pair in the form of Sailesh and Vikram Gowda. Soon, lack of understanding between the two resulted in Vikram being run out. Rahamathullah struggled to plug the runs from his end even as Srikanth followed up his fifty with an outstanding first spell of 3-0-9-0. Sailesh kept the CITI bowlers at bay with regular boundaries. Kranthi brought in Niket in the power play overs to plug the run-rate and the move paid off handsomely with Niket accounting for Deexank in the 5th over. 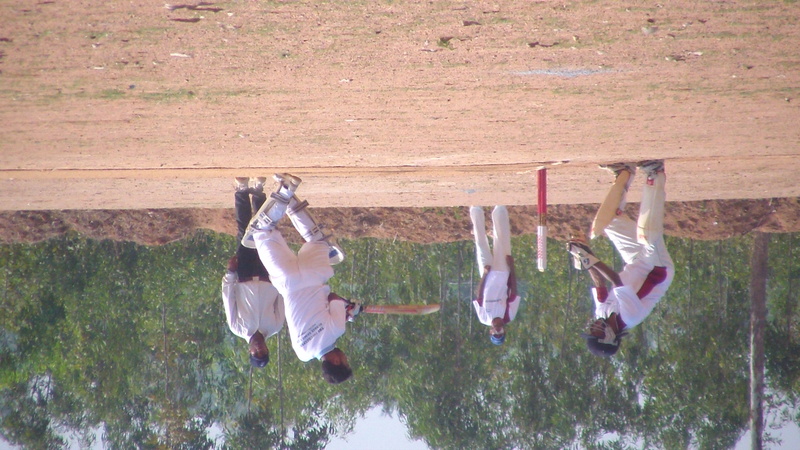 The tide had fully turned in favour of CITI when Niket accounted for the very dangerous Sailesh in his second over. Kranthi brought himself back to account for his counterpart Srikanth to leave Wipro tottering at 61/4 in the 10th over. It looked an uphill task chasing 90 in the last 10 with CITI bowling and fielding better than they had done in their previous games. 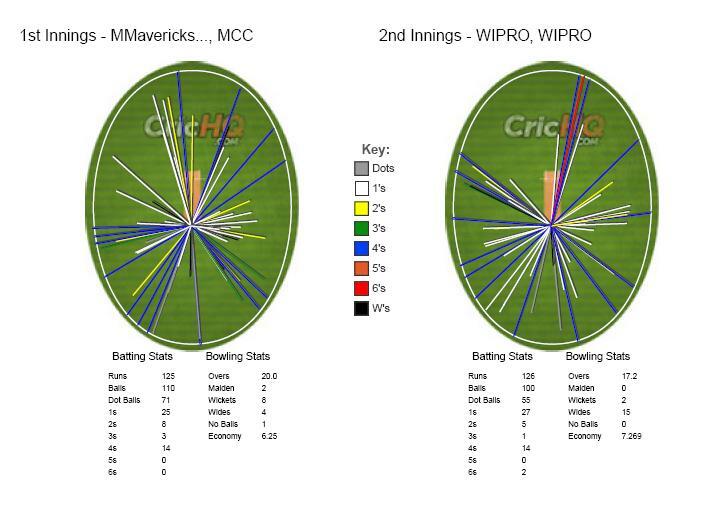 With Naresh struggling for control, Wipro batted themselves back in to the game with sound partnerships: firstly between Vinay and Pruthvi and then between Pruthvi and Bharath. Both Vinay and Pruthvi were severe on any short balls, which were many, that were on offer. When Rahamathullah castled Vinay in the 16th over, 48 runs were needed in 29 balls. The momentum now with Wirpo with the previous partnership and Pruthvi looking rather good, a close finish was on the cards. Bharath joined Pruthvi and the pair plundered runs as Krathi tried to play around with the 2 key overs he had left – one each from Niket and Srikanth. Srikanth was brought back with 27 needed in the last 2 overs. It was perhaps going to be the over that decided which way the game went. Pruthvi and Bharath took 15 runs off his last over to set-up a last over finish. 12 needed in 6 deliveries. Kranthi turned to Naresh who had struggled till then. 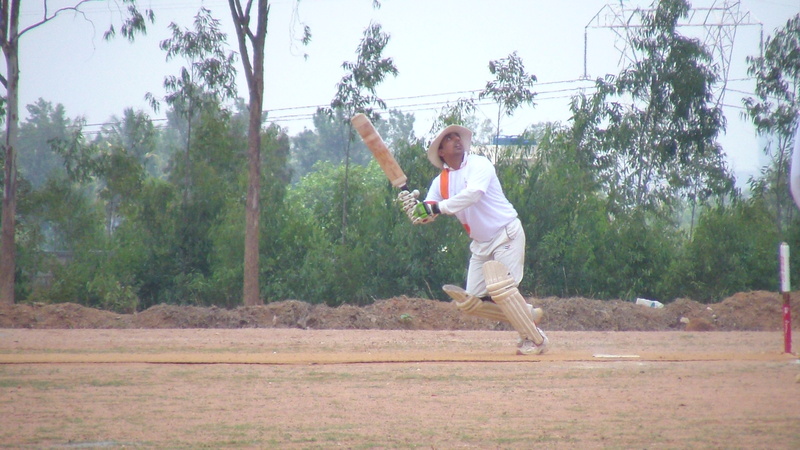 Naresh bowled a top over bowling to his straight fields. 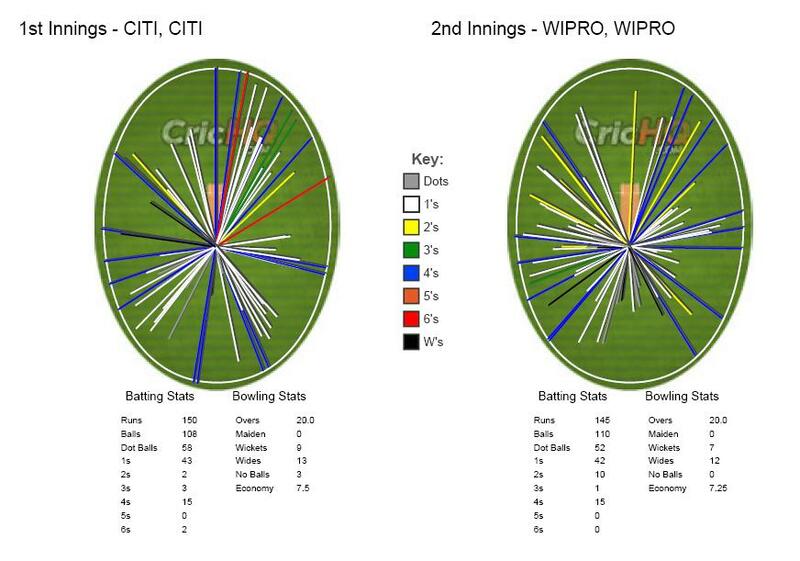 The resulting four singles and a two were never going to be enough to take WIPRO home as CITI registered their first win. 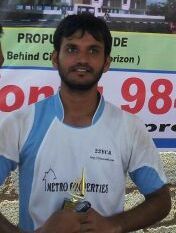 Performer of the Match: Srikanth.